I am very excited to share that my first copy of me new book has arrived at my house, and it’s so amazing to see it in finished form. Over time, you would think the feeling would become more familiar, but it still feels awesome to see a completed book. I love seeing one of my books finally come in the mail as a finished work. 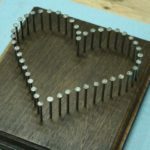 It takes so much time and effort to write a book, so seeing it all done makes me very happy. This is my sixth book, and I can remember my first one coming in the mail about five years ago. I think I stood there and held it for half an hour just marveling at how I actually wrote a book. Over time, and five more books down, the feeling is still amazing. All the hours, all the work, all the reading, editing, altering, and fixing, and I finally have the copy in my hands. I hope that all of you who order the book feel as excited as I do when it arrives in the mail. 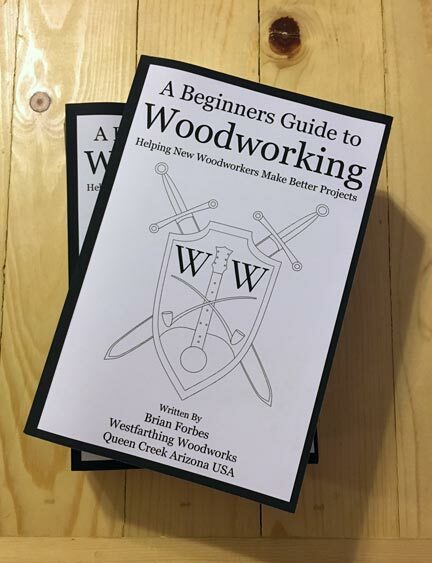 It’s a great book, and it can help you become a better woodworker. 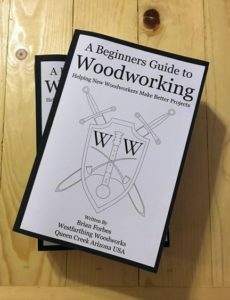 You can read more about the book in A Beginners Guide to Woodworking, which is a post dedicated to showing you all about the book. 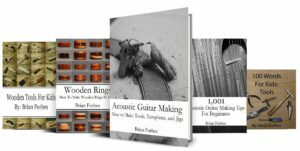 The sections are all explained, and you have an opportunity to buy the book if you are interested. 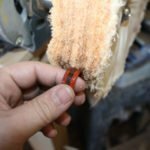 You will also be seeing more posts coming out about woodworking, woodworking tips, and ideas that can make you a better woodworker. 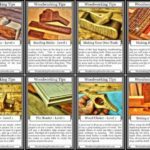 I plan on publishing several longer posts to help put more ideas in one place. 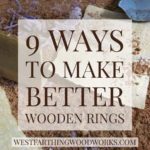 Also, there are new posts coming for making rings and making guitars. 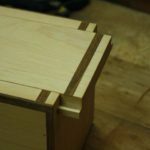 These are two of the most popular projects on the site, and I really enjoy teaching about them. If you have any questions about the book, leave a comment and I will be glad to answer them. Also, you can Subscribe so you don’t miss out on anything new. Happy building.